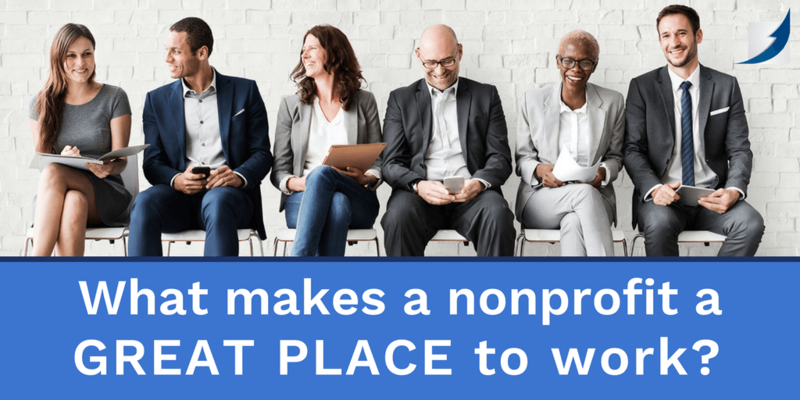 Any nonprofit looking to hire and retain the best talent (and, really, what organization isn’t?!) would do well to remember these words: leadership, stability, and organizational flexibility. The NonProfit Times has published its annual list of top nonprofits to work for, and the 2018 results make for some interesting and timely reading. As hiring managers know, the labor market remains tight, with the latest U.S. Labor Department report showing 6.1 million job openings nationally. So, what does it take to be a great nonprofit to work for? Leadership stability and organizational flexibility emerged as major factors, as did these themes cited by employees. – I feel I am valued in this organization. – I have confidence in the leadership of this organization. – I like the type of work that I do. – Most days, I feel I have made progress at work. – I can trust what this organization tells me. – At this organization, employees have fun at work. – I feel part of a team working toward a shared goal. – My pay is fair for the work I perform. – This organization treats me like a person, not a number. – This organization provides as much ongoing training as I need. There’s plenty of insight to be gained from the entire article and list. We’d like to make a special mention of New Jersey’s own Kessler Foundation, which came in 13th on the national list of the top 50 nonprofit workplaces for 2018. For a broader look outside the nonprofit area and across all business sectors, NJBIZ recently published its annual list of Best Places to Work in New Jersey, divided by small, medium and large companies. As NJBIZ notes, “There’s more than one way to be the ‘best.’ A range of positives including employee benefits, work-life balance, salary and culture are just a few ways 2018’s Best Places to Work in New Jersey honorees have set themselves apart.” Kessler Foundation and Kessler Rehabilitation Center were named this year, as was Sobel & Co., LLC, which has a valued tradition of community service and supporting nonprofits. To all those named by The Nonprofit Times and NJBIZ, congratulations!